For classic London, there is nowhere better than the hollowed walls of The Dorchester. More an institution than a hotel, the likes of Nicole Kidman and US Presidents have been known to pop in for a cocktail, afternoon tea, dinner or a stay while in the capital. 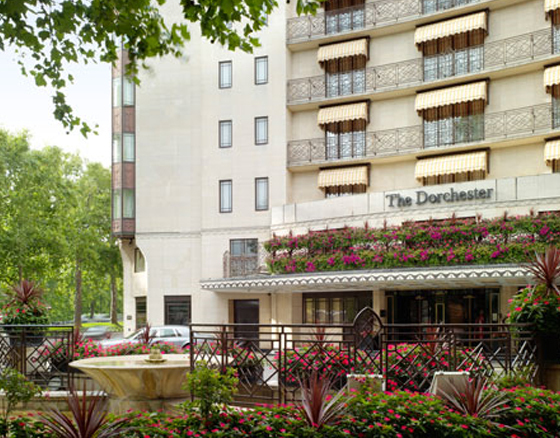 The Dorchester has been home to Prince Philip’s bachelor party and even President Eisenhower and is widely known to be a home from home for guests who are staying longer than the average hotel stay (The 50 opulent suites take care of them). 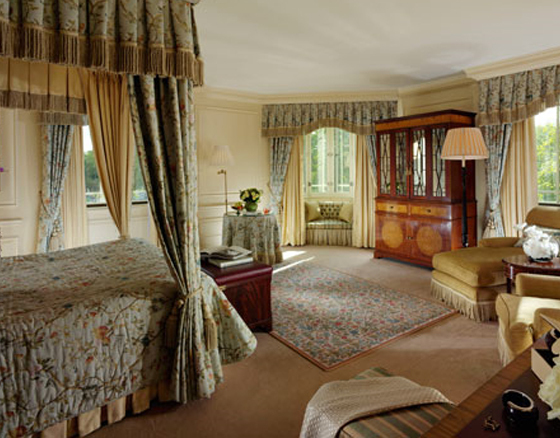 The other 196 bedrooms are individually designed to mirror traditional English county homes – this means marble bathrooms, antique furniture, four poster beds, ornate lamps and beautiful carpets. For dinner you are also spoilt for choice. There is Alain Ducasse at The Dorchester, hosted in what was one of the hotel’s private dining rooms, The Promenade for afternoon tea and China Tang for Cantonese haute cuisine. The place to eat for classic British food though is The Grill. Decorated in Highland Fling style, Head Chef Brian Hughson sources all ingredients from England, Scotland and Wales and boasts the “Best of British” ingredients. Try the lamb or the beef, it is exquisite. For those who want to be pampered, The Spa reopened last year after extensive refurbishment and expansion and is a destination in itself. The relaxation room alone is special but book in for afternoon tea and a massage with friends and you won’t be disappointed.